Lead Coloured River are an Indie Rock quartet hailing from the valleys of South Wales. Forming in February of 2017, they have been hard at work establishing a name for themselves on the Welsh music scene. 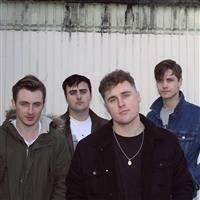 The band has a distinctive, yet purposeful sound made up of four separate layers culminated from a range of influences such as Royal Blood, Green Day, The Smiths and Arctic Monkeys; resulting in a mix of gritty, distorted bass and lead guitar tones, hard-hitting drums and powerful, melodic vocals. Described as “creative songwriters and electric on stage”, Lead Coloured River are one to watch.